dcdomain - r9: It's the meeeedia! It's the meeeedia! It's the meeeedia! It's the meeeedia! Haven't played GT4 since Sunday night. 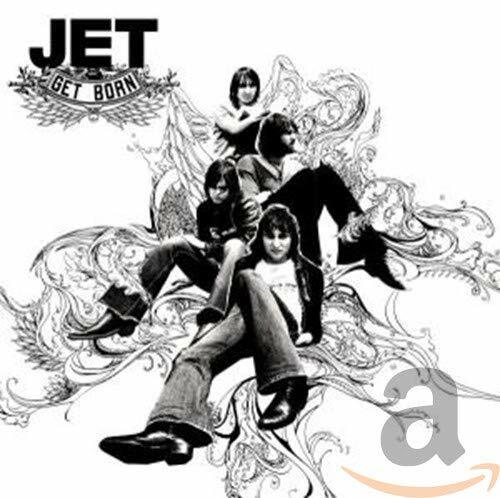 Currently digging Jet's Get Born, track 4, don't like the rest of the album though. Many have wondered what the scene is like. What is this underground community that has the MPAA up in arms? Well some enterprising students got together and created an online TV show about The Scene. Five episodes up so far, download at your leisure and get in the know. There's also a spoof out called Teh Scene. Random movie notes, the Sin City trailer is online, love how it was able to successfully translate the look and feel of the printed medium onto the screen. Joss Whedon has been entrusted with the Wonder Woman movie. I guess the villain of Spider-Man 3 won't be Venom, but instead, Black-Cat. And most importantly, production has started for the movie adaptation of Alan Moore's beloved Watchmen series. War of the Worlds trailer is up. Looks like the movie to beat this summer. Happy St. Patricks day! Parade went by downstairs on 5th Ave, one of the employees at SASI was also in the parade as a bagpiper. Afterwards, he brought his little crew up, playing through the offices. Some people didn't appreciate the sound of the bagpipes, but I've grown used to them during my time at Carnegie Mellon. What's going on with my commute?! Earlier this week, electricity was cut during my morning commute so I couldn't take the 456 line. Instead I had to take the NRQ to the BDFV line. Felt like a shorter walk though even though I had to transfer. Then today on the way home, the bus ride took an extra 45 minutes because 280 was backed up because of an accident. Not really complaining, I just don't like the lack of control I have over mass transit. At least when driving yourself, you don't have anyone else to blame but yourself and you have the option of pulling off the highway when there's traffic. the title is referring to chris rock's performance from the hbo special, 'bigger and blacker'. to be more specific he was saying that 'ni@@ers' often blame the media for their negative portrail. I WIN! We have a winnnnnnaaaaah. Chris Rock is the man! Damnit tomo. I guess that is what I get for being behind on DC's posts; otherwise that big piece of chicken would have been mine.